The nuts of argania spinosa (commonly called the argan tree), which are mainly found in Morocco, yield argan oil. Argan trees are also found growing in regions of Israel and Algeria, although sparingly. As the oil is only produced in few regions where this tree grows naturally, it has a limited supply and has always been in great demand. The technique of extracting the oil from argan nuts is not only complex, but the oil also has a very short shelf life - anything between 3 months and 6 months. Hence, it is not surprising that argan oil is one of the most expensive oils available anywhere across the globe. Argan oil has been promoted as excellent oil for skin care and the health of hair. As a result, this oil is employed as a major ingredient in numerous cosmetic products. Argan oil, which is a natural and organic substance, is effective in treating a number of skin conditions. 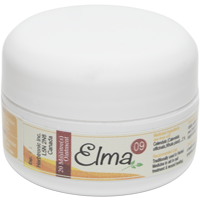 It encloses triterpenoids that possess the aptitude to protect the skin from various problems and also heal them. Argan oil can be employed to heal both old as well as new scars, treat common skin problems like acne and pimples and also lessen skin inflammatory conditions such as psoriasis and eczema. It has been found that using argan oil on a regular basis helps to lessen skin blemishes and, at the same time, heal the ugly marks caused by pimples and acne. About 80 percent of this natural oil comprises unsaturated fatty acids that have the ability to defend against the naturally occurring cell oxidation in comparison to olive oil. Argan oil also contains sterolins that help to augment skin metabolism, lessen inflammation and may even possibly enhance the ability of the skin to preserve moisture. Argan oil possesses incredible natural properties that help to protect our skin, nails and hair. Regular use of this natural oil may be effective in healing damaged tissues and also cure the partly healed tissues like scars. In addition, argan oil also covers your skin with a layer that protects the skin from the damaging sun rays, in addition to providing a disinfecting layer that defends against various pollutants, micro-organisms and toxins. Argan oil is not only beneficial for common skin and hair conditions, but even those that are not so common. This natural oil encloses plant sterols that possess anti-cancer attributes as well as the aptitude to lessen inflammation. In addition, argan oil may also prove to be useful for assisting the digestive process by enhancing the concentration of pepsin and other gastric juices. Since argan oil possesses anti-inflammatory properties, several studies have been undertaken to examine the beneficial effects of argan oil in treating conditions like arthritis and rheumatism. Apart from alleviating these conditions, argan oil may also be effective in bringing down high blood cholesterol levels, fortifying the immune system and even augmenting the systemic blood circulation. Argan oil is considered to be among the best natural remedies for specific skin conditions such as eczema, chicken pox and psoriasis. In addition, various products containing argan oil are available these days for weight loss and removing stretch marks caused by pregnancy. Apart from the health benefits of argan oil discussed above, this natural oil also possesses aphrodisiac attributes and many feel that it can prove to be useful therapeutically as well as in the form of an energy tonic. In fact, people in Morocco have been traditionally using argan oil to revitalize their libido as well as to augment their sexual pleasures. In addition, argan oil is also very helpful in enhancing one's overall vigour and vitality, which are depleted after a day's hard work. Undoubtedly, argan oil will continue to be among the most effectual natural treatments for nearly all types of skin as well as hair problems. It is also useful for curing other different health issues. Most importantly, this natural oil is safe compared to all the synthetic skin care products and hair conditioners available in the market these days. These days, more and more people have been using this amazing organic oil to heal problems related to their facial skin and wrinkles. Argan oil encloses an elevated concentration of a type of vitamin E called tocopherol and antioxidants that have the ability to lessen the damages caused by detrimental free radicals and, thereby slow down the aging process of our skin. In addition to possessing these natural attributes, argan oil also encloses saponins, which help to keep the dry and blemished skin moist, making it look healthier and more youthful. Being a natural hair protectant, most professionals working in salons are aware of argan oil as well as the numerous benefits it offers for healthy hair. Apart from making the hair follicles stronger, argan oil also provides nourishment to the new hairs. However, this oil does not enter the hair pores. In addition, argan oil also manages our hair by bringing back the smoothness of the hair and preventing it from getting tangled and doing away with all roughness. This natural oil makes the hair stronger and ensures that the glow is spread all over - right from the hair roots to the tips. It has been found that the anti-inflammatory attributes of argan oil are very effective in preventing as well as healing cardiovascular ailments. In addition, it is also useful in alleviating arthritis pain. As far as skin care is concerned, argan oil is really miraculous. This natural oil is loaded with antioxidants and hence possesses the aptitude to slow down and, in some cases, even reverse some signs of aging. This oil is in great demand worldwide and also expensive, primarily because it is made only in areas where the argan tree grows. Besides, its anti-aging as well as restorative properties are highly valued. Applying argan oil regularly to the skin helps to do away with wrinkles as well as other conditions, especially skin degeneration. As this oil contains sullen and unsaturated fatty acids, it is highly effective in neutralizing the harmful free radicals which are mainly responsible for the aging of our skin. Argan oil or any other similar natural oil is extremely beneficial for people who have been enduring skin disorders like psoriasis or eczema. Use of this natural oil will help to alleviate their symptoms. Regular use of argan oil may also help in mending brittle nails having a tendency to crack or split. This oil is also beneficial for women, especially those who have stretch marks following childbirth. Massaging the stretch marks with this oil regularly will help to lessen the severity as well as the color of the stretch marks. People desiring to lessen their age spots or stretch marks should apply just a couple of drops of argan oil to the affected body part and rub the oil properly till it is soaked up by the skin. When you apply argan oil, you will notice that as soon as this natural oil touches your skin, it begins to moisturize the skin. If you regularly apply the oil to the stretch marks or age spots for a period of time, you will be surprised to notice that they gradually become less visible. In fact, argan oil offers us so many benefits that it is almost impossible to list all of them in an article like this. The fact remains that scientists are still studying the other potential benefits of this oil and coming up with new discoveries now and then. Argan oil mixes well with coconut and wheat germ oil.